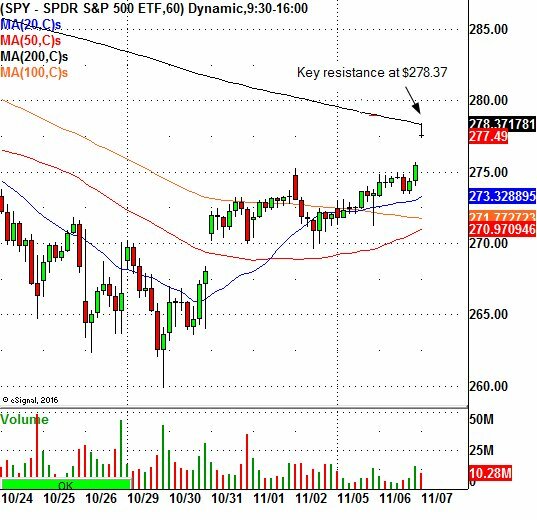 The $SPY is stalling at the hourly 200-Moving Average $278.37 on the chart. As noted below, a 60-minute time frame close above this key resistance level will trigger a move to the $281.00 level. Watch the pattern over the next few hours. Get all of Nicks options swing trades here, and Nicks stocks swing trades here. Click the links to see EVERY trade (open/closed) now!